NYC Educator can now report that Mayor Michael Bloomberg offered the Chancellorship not only to charter school mogul Geoffrey Canada and publishing executive Cathie Black, but also to billionaire industrialist Smellington G. Worthington III. "I say, what's the fuss?" asked Worthington, while lounging at his club. "Mikey offered it to me first. Cathie says he offered it to her first, but she's clearly mistaken. What Mikey probably meant was that he was offering it to her for the first time, perhaps after offering it to Geoffrey and me for the first time." Worthington insisted he was the most qualified for the job, and that he would've expanded on the legacy of Joel Klein. "For the love of Smedley, we have people working at Wal-Mart for minimum wage. Why on earth can't also they train the little urchins to do such things, fold clothes, clean floors, or whatever they do at such establishments? 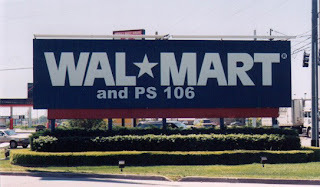 Whitney Tilson encouraged me to invest in Wal-Mart and we've made a tidy little bundle. Why shouldn't we turn the efforts of the rabble toward increasing our profits?" Worthington said he envisioned a working partnership that would not only bring Wal-Mart to NYC, but also create space for overextended public schools. He said his personal relationship with the Walton family would help facilitate the partnership, and that he'd be willing to finance whatever it took to crush opposition to Wal-Mart in the city. So why didn't he take the job? "Quite frankly, the salary was abysmal," confided Worthington. He claimed he'd be better able to realize his reforms from his current position. "Confidentially, I don't want to spend too much time with the bootless and unhorsed. Who knows what sort of vermin might be following them? That's why I told Cathie at a party how brave she was to take on such a task. Egads it's bold." Worthington spoke enthusiastically of his new Facebook page. "I think we will convince the masses that the billionaire point of view is what needs to prevail. We've finally persuaded that Obama chap to give up on removing the tax cuts for people like us. Why can't we persuade the rabble that money is better in the hands of those of us who know what to do with it?" We asked Worthington why regular people shouldn't get money, but he nodded to several burly-looking fellows in the corner, who then picked us up and tossed us out into the street. We considered a lawsuit, but upon examination of the release we'd signed to get the interview, we noticed we'd given up all rights to pursue any such actions. "We win again!" shouted Worthington from a window, as we dusted ourselves off and hobbled down the street.